WAPA Reaches Settlement with FERC, NERC for 2011 Blackout - November 24 - FERC approved a consent agreement between itself, NERC, and the Western Area Power Administration’s (WAPA’s) Desert Southwest Region. The settlement results from investigations into violations of reliability standards leading to a September 8, 2011 blackout in Arizona and Southern California. WAPA has agreed to undertake mitigation measures (several of which it has already completed), including its practices for setting system limits, developing additional reactive support, and improving long-term planning and situational awareness. WAPA will make at least two semi-annual compliance filings to FERC and NERC detailing progress on the mitigation measures, actions taken, and any subsequent violation of standards. FERC Approves Physical Security Reliability Standard - November 20 - FERC issued a final rule approving Reliability Standard CIP-014-1 (Physical Security), which will enhance physical security measures for the most critical Bulk Power System facilities and thereby lessen the overall vulnerability of the Bulk-Power System facilities against physical attacks. 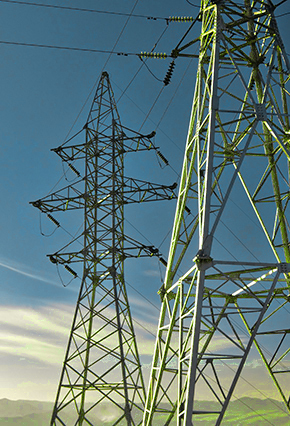 FERC directed development of the standard in a March 2014 Order in which FERC found that the then current Reliability Standards did not specifically require entities to take steps to reasonably protect against physical security attacks on the Bulk-Power System. Reliability Standard CIP-014-1 will require transmission owners to perform risk assessments to identify critical transmission stations and substations, and primary control centers, and for transmission owners and operators to develop and implement physical security plans for such assets. FERC also directed NERC to submit an informational addressing the treatment of "High Impact" control centers. The standard will likely become effective on October 1, 2015. FERC Issues Order Accepting NERC's Five-Year Performance Assessment - November 20 - FERC issued an order accepting NERC's submittal of its Five-Year Electric Reliability Organization Performance Assessment Report. In its order, FERC found that NERC continues to satisfy the statutory and regulatory criteria for certification as the Electric Reliability Organization and found that the various regional entities also continue to satisfy the applicable statutory and regulatory criteria. Additionally, FERC noted several actions that NERC should take to continue improving its performance and required NERC to make an informational filing to address these issues. The informational filing is due to FERC by November 20, 2015. FERC Issues NOPR on Power Balancing Standard - November 20 - FERC released a notice of proposed rulemaking on a proposed reliability standard for real power balancing control performance (BAL-001-2). The proposed standard is intended to maintain interconnection frequency, and FERC proposes to require NERC to submit a report on any unscheduled flow or inadvertent interchange issues two years after implementation. Comments are due sixty days after the NOPR is published in the Federal Register. NERC Publishes 2014-2015 Winter Reliability Assessment and Announces Adequate Resources Exist for Normal Winter Demand - November 21 - NERC publishes its 2014-2015 Winter Reliability Assessment, which concluded that adequate resources exist to maintain reliability if the 2014-2015 is normal. In its announcement, NERC noted that periods of extreme cold weather could pose challenges for fossil-fuel plants, particularly concerning their current fuel availability levels. NERC Issues Statement on FERC Open Meeting – November 20 – NERC released a statement commenting on the actions taken at FERC’s November 20 open meeting. NERC commended the Commission for three actions in particular, including its approval of a physical security standard (CIP-014-1), its comments on NERC’s Five-Year ERO Performance Assessment, and its proposed approval of an updated Real Power Balancing Control Performance reliability standard (BAL-001-2). NERC Seeks Approval of Amendments FRCC Bylaws - November 19 - NERC submitted to FERC a petition for approval of amendments to the FRCC Bylaws. The amendments to the FRCC Bylaws would formally recognize the Corporate Compliance Finance and Audit Committee and the Personnel and Compensation Committee; reorganize FRCC’s Standing Committee structure to improve efficiency; revise the current FRCC Board voting scheme; and add a confidentiality provision to the FRCC Bylaws to recognize the importance of discretion and confidentiality of information received through FRCC. NERC Publishes 2015 Compliance Monitoring and Enforcement Implementation Plan - November 18 - NERC published its 2015 Compliance Monitoring and Enforcement Implementation Plan. This plan is the annual operating plan carried out by NERC's Compliance Enforcement Authorities, which are tasked with performing certain duties delineated in the Compliance Monitoring and Enforcement Program. The implementation plan focuses on NERC's continued efforts to implement a risk-based approach to compliance monitoring and enforcement. The appendices to the plan contain regional entity-specific implementation plans. NERC Submits Compliance Filing Arising Out of 2012 Performance Audit - November 14 - NERC submitted a compliance filing to FERC, the need for which arose out of FERC's 2012 performance audit of NERC. In particular, the compliance filing provides FERC with NERC's unaudited report of its budget-to-actual variance for the third quarter of 2014. NERC Board of Trustees Approves Standards Projects, Changes to Rules of Procedure, NERC Strategic Plan - November 13 - At its quarterly meeting, the NERC Board of Trustees adopted nine standards projects and one regional standard, approved changes to the Rules of Procedure in support of the Risk-Based Registration initiative, and adopted the ERO Enterprise Strategic Plan 2015–2018. Details of the BOT's actions can be found here. NERC Identifies Long-Term Reliability Challenges – November 12 - NERC released its 2014 Long-Term Reliability Assessment. The Assessment identifies three key reliability issues going forward: the downward trend in reserve margins, uncertainty stemming from pending environmental regulations (including EPA’s proposed Clean Power Plan), and a reduction in resource mix diversity due to increased reliance on natural gas. NEI Submits Petition for Rulemaking on Cybersecurity Requirements – September 22 – The Nuclear Regulatory Commission (NRC) is requesting public comment on a petition for rulemaking (PRM) filed by the Nuclear Energy Institute (NEI). The PRM requests that the NRC revise its requirements for protection of digital computer and communications systems to allow industry to reallocate some resources from protecting non-critical digital assets against cyber attack to preventing other types of sabotage at nuclear facilities. Public comments on the PRM are due December 8. Trade Associations Urge Senate to Pass Cybersecurity Legislation in Lame Duck - November 20 - A host of power sector trade associations sent a letter to Senate Majority Leader Harry Reid (D-NV) and Minority Leader Mitch McConnell urging passage of S. 2588, the Cybersecurity Information Sharing Act of 2014 (CISA), before the end of the 113th Congress. Sponsored by Sen. Dianne Feinstein (D-CA), CISA would promote cybersecurity information sharing between the federal government and the private sector. Legislation Introduced to Reverse NERC Approval of New Michigan BAs - November 17 - Michigan legislators introduced bills in the House and Senate that would direct FERC to review any decision by NERC to approve a new balancing authority that would alter cost allocations under an existing system support resources agreement. The legislators claim that NERC's decision to approve the new BA structure will result in unjust and unreasonable rates for ratepayers in Michigan's Upper Peninsula. Parallel bills were introduced by Sen. Debbie Stabenow (D-MI) in the Senate and Dan Benishek (D-MI) in the House. Senate Cybersecurity Act Reported November 12 - The Senate Committee on Commerce, Science, and Transportation reported the Cybersecurity Act of 2013 (S. 1353) out of committee favorably. The act, sponsored by Senator John Rockefeller (D-WV), would update the statutory authority of the National Institute of Standards and Technology (NIST) for cybersecurity standards development, increase the Department of Energy's cybersecurity research and development, expand workforce development initiatives, and direct NIST to build a cybersecurity awareness campaign. The bill now moves to consideration by the full Senate. Midwest Reliability Organization Developments – November/December – The Midwest Reliability Organization (MRO) announced a one-day regional risk conference in February 2015 to be hosted by the chairs of the MRO technical committees. MRO also previewed its upcoming 2014 Long Term Reliability Assessment (LTRA), which will be available on NERC’s Reliability Assessments website. TRE Submits Response to FERC Weather Inquiry - November 20 - The Texas Reliability Entity submitted its response to FERC's September 26 inquiry into 2011 and 2014 cold weather events. The response details reasons for specific unit failures, remedial measures taken, TRE policy changes since the events, and potential future winter reliability concerns such as wind turbine operation and coal and natural gas delivery. ERCOT, PJM Release Reliability Analyses of EPA's Clean Power Plan - November 17 - The respective grid operators for Texas and the Mid-Atlantic regions released analyses of EPA's proposed rule regulating carbon dioxide emissions from existing power plants. ERCOT's analysis expressed concerns with coal plant retirements under the proposed rule, while PJM's analysis emphasizes the potential compliance benefits of using a regional rather than a state-by-state approach. Comments on the proposed rule are due by December 1.